Match ends, Celta de Vigo 2, Ajax 2. Second Half ends, Celta de Vigo 2, Ajax 2. Riechedly Bazoer (Ajax) is shown the yellow card for a bad foul. Señé (Celta de Vigo) wins a free kick in the defensive half. Foul by Riechedly Bazoer (Ajax). Facundo Roncaglia (Celta de Vigo) wins a free kick in the defensive half. Foul by Mateo Cassierra (Ajax). Corner, Ajax. Conceded by Nemanja Radoja. Attempt blocked. Joël Veltman (Ajax) right footed shot from outside the box is blocked. Corner, Ajax. Conceded by Señé. Goal! Celta de Vigo 2, Ajax 2. Orellana (Celta de Vigo) left footed shot from outside the box to the top left corner. Assisted by Facundo Roncaglia. Planas (Celta de Vigo) is shown the yellow card. Foul by Planas (Celta de Vigo). Bertrand Traoré (Ajax) wins a free kick in the defensive half. Orellana (Celta de Vigo) wins a free kick in the attacking half. Substitution, Ajax. Riechedly Bazoer replaces Hakim Ziyech. Substitution, Ajax. Mateo Cassierra replaces Amin Younes. Substitution, Celta de Vigo. Daniel Wass replaces Pablo Hernández. Attempt missed. Facundo Roncaglia (Celta de Vigo) header from the centre of the box is just a bit too high. Assisted by Señé with a cross following a corner. Corner, Celta de Vigo. Conceded by Nemanja Gudelj. Substitution, Celta de Vigo. Giuseppe Rossi replaces John Guidetti. Goal! Celta de Vigo 1, Ajax 2. Amin Younes (Ajax) right footed shot from the left side of the box to the bottom right corner. Assisted by Nemanja Gudelj. Attempt blocked. Pione Sisto (Celta de Vigo) right footed shot from outside the box is blocked. Assisted by Pablo Hernández. Attempt missed. Hakim Ziyech (Ajax) left footed shot from outside the box is too high. Assisted by Kasper Dolberg. Substitution, Celta de Vigo. Orellana replaces Álvaro Lemos. Attempt missed. Pione Sisto (Celta de Vigo) right footed shot from outside the box is too high. Assisted by Pablo Hernández with a headed pass. Foul by Sergi Gómez (Celta de Vigo). Álvaro Lemos (Celta de Vigo) wins a free kick on the right wing. Attempt missed. Sergi Gómez (Celta de Vigo) right footed shot from the centre of the box is too high. Assisted by Señé with a cross following a corner. Corner, Celta de Vigo. Conceded by Daley Sinkgraven. Foul by John Guidetti (Celta de Vigo). Nemanja Radoja (Celta de Vigo) wins a free kick in the defensive half. Corner, Ajax. Conceded by Rubén Blanco. Attempt blocked. Nemanja Gudelj (Ajax) right footed shot from outside the box is blocked. Nick Viergever (Ajax) wins a free kick in the attacking half. Second Half begins Celta de Vigo 1, Ajax 1. First Half ends, Celta de Vigo 1, Ajax 1. Attempt missed. Nemanja Gudelj (Ajax) right footed shot from outside the box misses to the left. Daley Sinkgraven (Ajax) wins a free kick in the attacking half. Attempt missed. Señé (Celta de Vigo) left footed shot from outside the box is just a bit too high. Assisted by Facundo Roncaglia. Pione Sisto (Celta de Vigo) wins a free kick on the left wing. Attempt missed. Nemanja Gudelj (Ajax) right footed shot from outside the box is too high. Assisted by Hakim Ziyech following a set piece situation. Foul by Álvaro Lemos (Celta de Vigo). Amin Younes (Ajax) wins a free kick in the attacking half. Señé (Celta de Vigo) wins a free kick in the attacking half. Foul by Nemanja Gudelj (Ajax). Attempt missed. Planas (Celta de Vigo) right footed shot from outside the box is close, but misses the top right corner. Assisted by John Guidetti. Joël Veltman (Ajax) is shown the yellow card for a bad foul. Nemanja Gudelj (Ajax) is shown the yellow card for a bad foul. Álvaro Lemos (Celta de Vigo) wins a free kick in the defensive half. Goal! Celta de Vigo 1, Ajax 1. Fontàs (Celta de Vigo) left footed shot from the centre of the box to the top left corner. Assisted by Álvaro Lemos with a cross following a set piece situation. John Guidetti (Celta de Vigo) wins a free kick in the attacking half. Attempt missed. Facundo Roncaglia (Celta de Vigo) right footed shot from the right side of the box is close, but misses to the right following a corner. Corner, Celta de Vigo. Conceded by Bertrand Traoré. Goal! 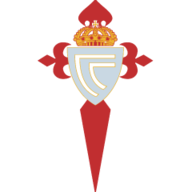 Celta de Vigo 0, Ajax 1. Hakim Ziyech (Ajax) left footed shot from the left side of the box to the centre of the goal. Assisted by Kasper Dolberg following a fast break. Corner, Celta de Vigo. Conceded by Davinson Sánchez. Attempt blocked. Pione Sisto (Celta de Vigo) right footed shot from outside the box is blocked. Assisted by Nemanja Radoja. Daley Sinkgraven (Ajax) wins a free kick on the left wing. 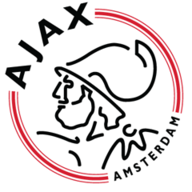 Davinson Sánchez (Ajax) is shown the yellow card for a bad foul. Sergi Gómez (Celta de Vigo) wins a free kick in the attacking half. Offside, Ajax. André Onana tries a through ball, but Kasper Dolberg is caught offside. Hand ball by Davy Klaassen (Ajax). Attempt saved. Nemanja Gudelj (Ajax) right footed shot from outside the box is saved in the centre of the goal. Attempt missed. John Guidetti (Celta de Vigo) right footed shot from outside the box is close, but misses to the left.